If you read the article about Qatar and BA yesterday you may have seen my later addition about one of the benefits of the codeshare. To get status on British Airways you need to earn a certain amount of tier points for each tier level, 300 for Bronze, 600 for silver and 1500 for Gold. The other requirement is to have completed 4 eligible flights with British Airways. Sometimes this can be the tricky part. For example, if you did a Qatar flight to Asia you would earn 560 tier points which is bronze tier and only 40 points away from Silver which comes with lounge access. This would still not necessarily guarantee you silver even if you made up the extra 40 points as you may not have the qualifying flights. However, if you had booked your Qatar flight through britishairways.com and it had a BA codeshare flight number, these would count as your 4 flights! Eligible flights are defined as those flights marketed or operated by British Airways and those flights marketed and operated by Iberia. ‘Marketed’ means the flight will have a BA flight number (in your itinerary or on your ticket). ‘Operated’ means the aircraft that you travel on is a British Airways aircraft (including franchises and BACityflyer). ’Marketed’ and operated by Iberia’ means the flight will have an IB flight number and the aircraft you travel on is an Iberia aircraft (including franchises). 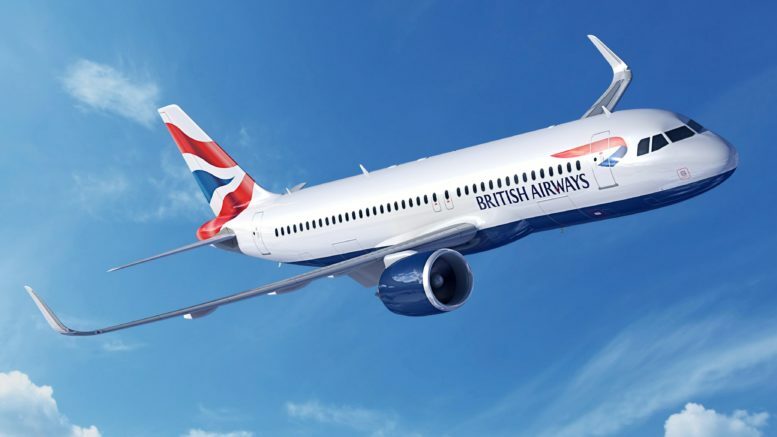 In effect this means that you can fly any flight with a BA flight number, any Iberia flight with a BA or Iberia flight number or any flight operated by BA even if it doesn’t have a BA flight number. Who does British Airways codeshare with? BA codeshares with a number of airlines but this is not on every route that each airline has. It is difficult to find a list of exact routes. The best bet is to try searching on ba.com for whatever you are thinking of and see what it brings up. If it has a BA flight number but is operated by another airline, it counts. There is some limited information on ba.com here. If you need ideas for tier point runs to complete your points here is my guide to tier point runs which has plenty of suggestions. You can read the eligible flight rules on britishairways.com here. 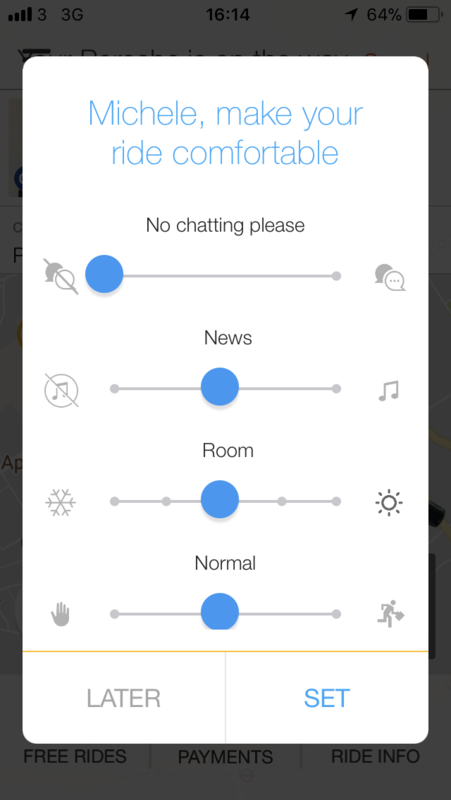 Gett is a taxi app which you can use in London and a number of other cities. You can read my Gett review here. 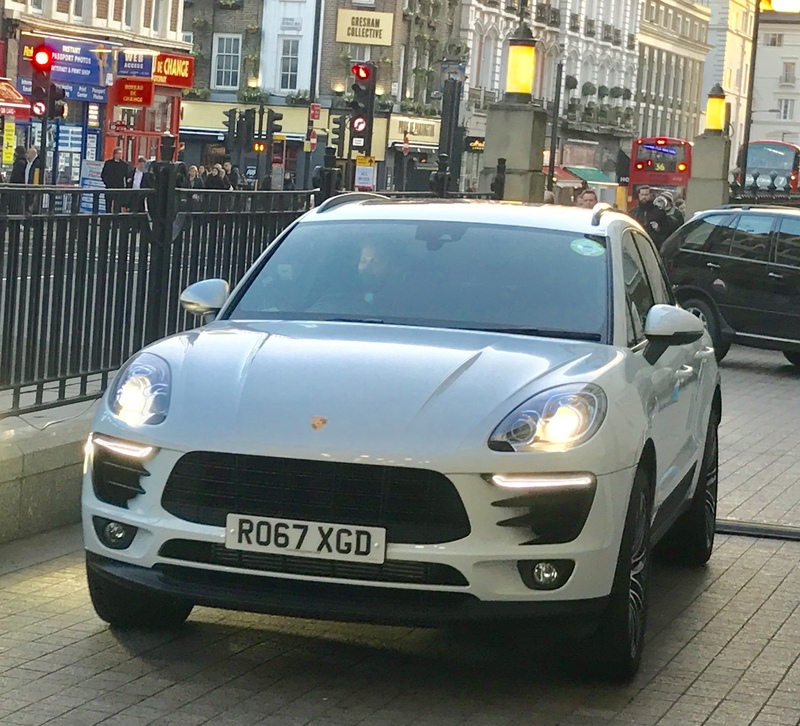 For a limited time Gett have partnered with Porsche to offer rides in a Porsche in London starting at less than £20. I was given some free Gett credit so I decided to give it a try. You select Gett Porsche from the usual Gett app. Once your ride is confirmed you are given options to select from such as whether you wish the driver to talk to you, what sort of music you want and the temperature. The drivers are all Porsche Experience Centre trained and this was definitely a very premium service. The door was opened for me and I was offered Voss water and asked if the temperature was OK for me. If you wanted to listen to your own music there was a cable to attach your iPhone and you could charge your phone too. I would advise opting for the ‘no chatting’ option unless you are very sociable as the drivers are told that they have to talk to you if you select this. I had just assumed it meant that it was OK to talk if they wanted to talk rather than forcing them to have a conversation. It led to a slightly awkward first journey as I had selected ‘happy to talk’ when really I just didn’t mind either way but there was no middle option. The service does not include the sporty Porsche models so at least you know your luggage will fit in. The models include the Cayenne SE Hybrid, the Panamera 4 EHybrid and the Macan models. All of mine were the Macan. The price was about £7 more than I would have paid for a taxi for my 25 minute ride. It is not something I would do everyday but it is nice as a treat on a night out or special occasion when you want to arrive in style. 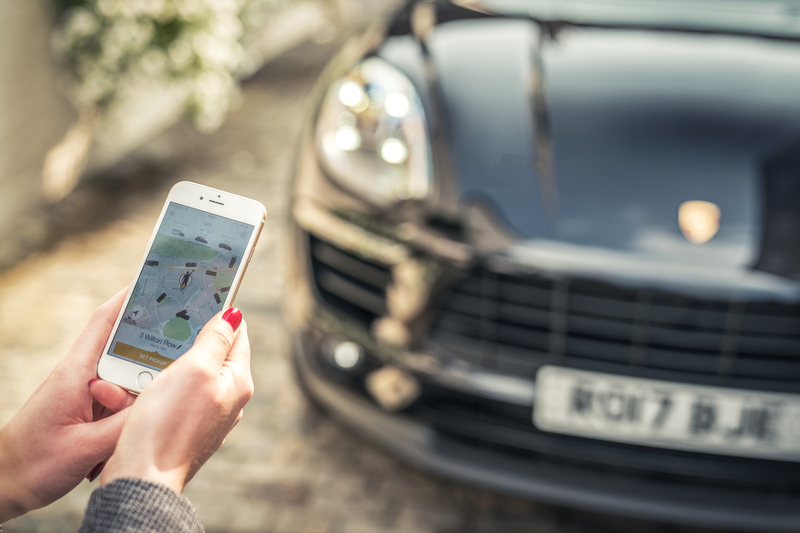 Gett Porsche is available in central London from Wednesday to Sunday. I found I didn’t have to wait more than about 5 minutes to get one. You can find more information on Gett Porsche here. 9 Comments on "How to get status on BA without flying BA & ride in a Gett Porsche for under £20"
I still have difficulty getting my head around why you would want top “loyalty” tier on an airline that you dont fly with! Just put the points to your preferred airline and get the full benefits from them…. Hi Nigel. It is sometimes an issue if you accumulate a lot of Avios and 2-4-1 or upgrade vouchers on BA. You need to use them before they expire but they don’t count as eligible flights or for tier points. That’s why people sometimes want ways to get gold but not necessarily doing the 4 flights on BA. At some point this year I will have 2 x 2-4-1, 1 upgrade voucher and 1 gold upgrade voucher to use! It can get tricky balancing using them with maintaining my Gold status as I fly lots of airlines. If travelling on Iberia how do you accrue miles to your BA account as described in your article? We will soon fly business on Iberia Heathrow/Madrid/Lima/Buenos Aires/Madrid/Glasgow. Would that achieve status. Hi Seamus. You just need to put your BA executive account number in the Iberia booking which you should be able to do under manage my booking on line. Yes you would get tier points so each short haul segment should get 40 tier Points and long haul would be 140 to Lima & 160 return. Assuming all the segments are Business class you should get 420 tier Points which is bronze level plus the Avios Miles. Perhaps there are some exceptions but certainly I can confirm it works on Qatar/BA codeshares. The wording in the article is straight from the BA website so perhaps you should query why you didn’t get it? The BA website no longer mentions codeshares. The website and T&C now both specifically call out BA-operated flights – twice, one where it used to say marketed. British Airways operated flights, including franchises and BA CityFlyer. Flights operated by Iberia, included franchises, with an IB flight number. Hi Ian. It does still have the old wording on there as well in another place. I suspect it is a typo since they have repeated a line. I have contacted BA and I am still waiting for a reply to clear this up! I think if they had changed the policy they would have written to their executive club members.